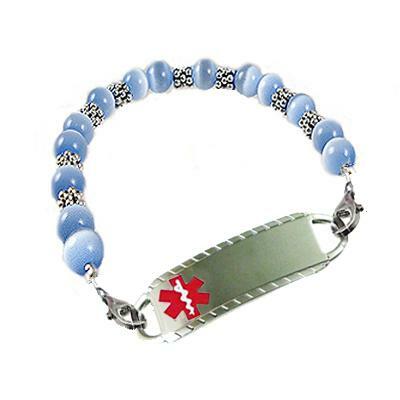 Price includes: One Elite Classic stainless medical id tag with Free traditional, clear-etched engraving, interchangeable beaded strand. Please enter engraving in CAPITAL (Uppercase) letters as that is how it will be engraved. Thank you.